● The homepage occasionally features a variety of special promos, which have previously included seasonal sales and flash deals. ● Check out the Weekly Specials page to take advantage of discounts as high as 30% off. ● Save up to 80% off your purchase by shopping on the Clearance page. ● Shipping costs are calculated on check out and are based on several factors, including destination and preferred shipping method. International shipping is also available. ● Connect with the company on social networks like Facebook and Twitter to participate in occasional sweepstakes and other events. Monoprice specializes in accessories for electronics and other components that you may need for your sound system, printers, or even your televisions. When you first visit their website, scroll to the bottom of the page and you'll see transitioning images with information about current sales. For example, you may be able to get 40% off of accessories for home theatres or free standard shipping with some merchandise that they have in stock. Any other sales will be displayed in a banner at the top of the page and the sales will require a coupon code to be applied to your shopping cart. 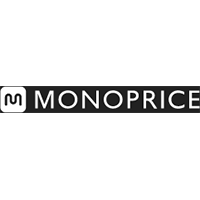 For most up to date offers check out Monoprice on Facebook and Twitter or contact Monoprice Support for any questions.